A blueberry grower on the New South Wales Mid North says conditions improved dramatically this summer, after a challenging winter. Benning Blueberries, based in Woolgoolga, has split the harvest into two crop cycles; Summer and Winter - and experienced two drastically different seasons. "This season, the early winter crop was affected by frosts and volume was reduced," Bob Benning said. "However, our summer crop did very well and with no rainfall we were able to pick nearly every berry grown. Weather conditions caused concerns with frost effecting our winter varieties. Although the lack of rain was a blessing to enable no break in the harvest, the major challenges, are concerns that next season’s crop will be effected by no rainfall." Benning Blueberries is a family owned business, across three generations, which has been farming for the past 17 years. The farm grows approximately 350 acres of blueberries, 5,000 macadamia trees and have recently planted 10 acres of raspberries under tunnels and substrates. "The majority of Bennings fruit is supplied to the domestic markets in in all Australian states," Mr Benning said. "In previous years we have exported and with the help of the new GP Grader, Bennings are looking to increase export numbers in the future." During the 2018-2019 season, Bennings grew and packed approx. 600,000 trays and with our new plantings have a lot of area coming into production which should increase volume for the coming year. Mr Benning put growing consumer demand down to a number of reasons. 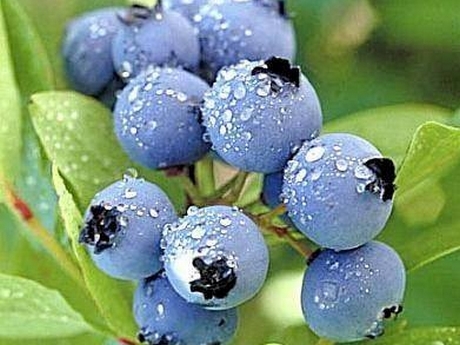 "Australia Blueberries have become a very popular fruit, and this is due to several factors," Mr Benning said. "One is a regular supply of good quality product, another is the health benefits of blueberries, they are Versatile and can be used in variety of ways, as well as the packaging and pricing. But most importantly the great taste."